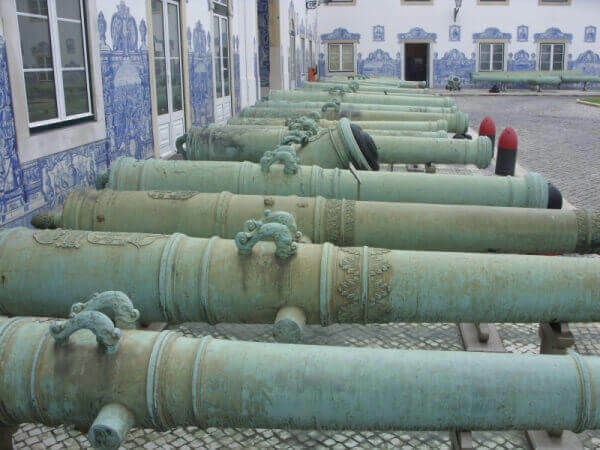 Many have heard at least once Portugal was one of the biggest and richest sea powers of Europe and in the world. 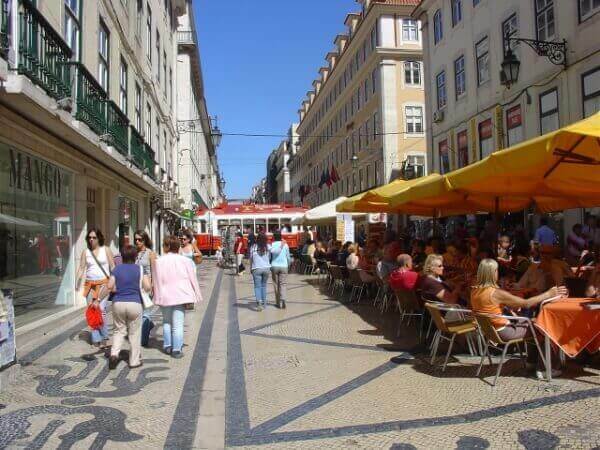 In the city of Lisbon there are many of these "footprints" of that luxury, which we will see during this excursion. 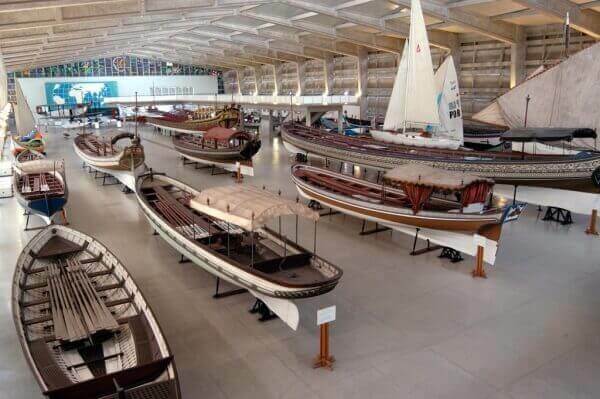 The excursion will be dedicated to a very special area of Lisbon city, in other words, to the district of Belem. It was there that took place the main events in the time of the Discoveries, of which Portugal is so proud. 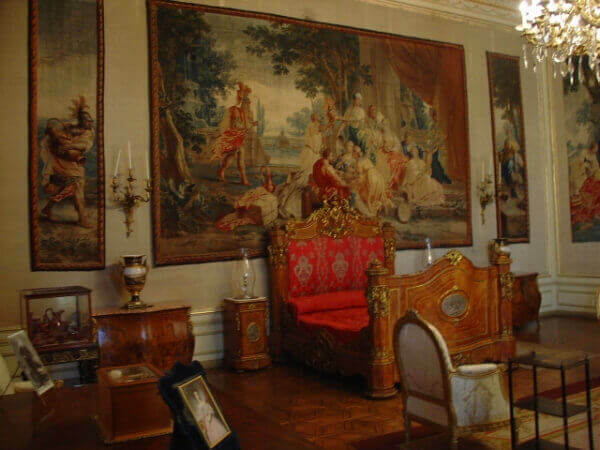 The first passage of this excursion will be by the Palace of Ajuda (Palácio Nacional da Ajuda) as it was in this palace, with a very rich decoration of his interiors, were spent fabulous sums of money. From ancient furniture, tapestries, sculptures, clocks and porcelains... beyond a parallel history of love and betrayal, which affected the destiny of this country. This palace is now also one of the official residences of the Presidency of the Republic to serve banquets for illustrious international guests with a dinning hall for 170 persons. 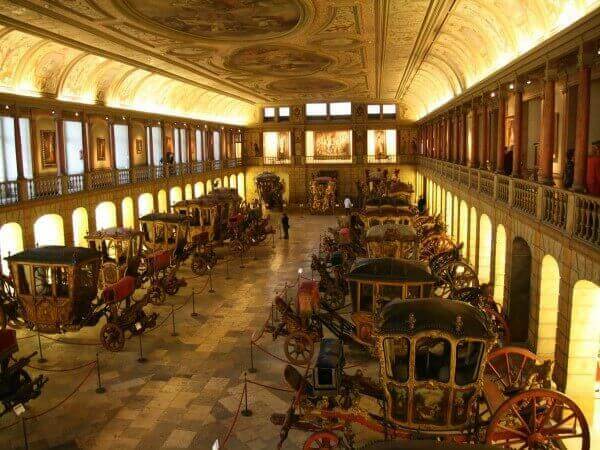 From here we will be going to visit the Carriages Museum (Museu dos Coches), considered the best carriages museum of Europe, created by one of the queens of Portugal, after the success at the World Exhibition in Paris. These coaches also witness the glorious past of a small country and how much the monarches were seeming to like to walk in these carriages! 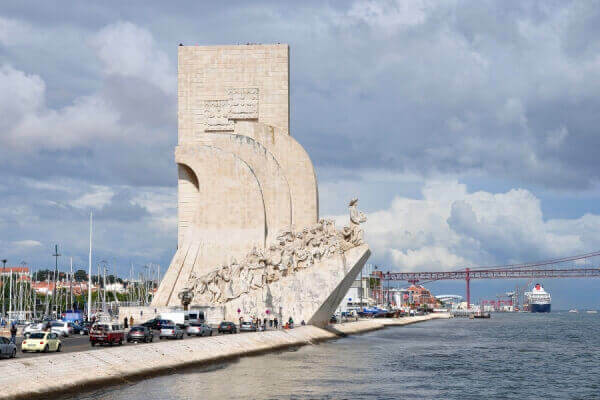 And of course, the famous monuments of the 16th century, which survived up to now; case of the Jerónimos Monastery (Mosteiro dos Jerónimos) and Belem Tower (Torre de Belém), recognized by UNESCO as World Heritage monuments. In a unique architectural style, called "Manueline", which becomes a surprise even for the study of the history of the architecture, which maintains the memory of many events that made the "Kingdom of Portugal" so invincible and rich from the 16th till 18th centuries. To end this visit cannot fail to enter the pastry "Pasteis de Belém" and taste their famous egg tarts "Pastel de Nata" with a pinch of cinnamon. 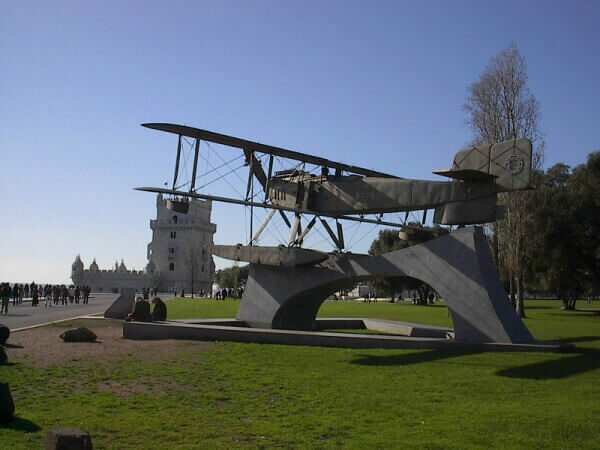 Walking tour and through urbane transports which will allow us to observe very quickly the most interesting and uncommon places of the most ancient part of the city. 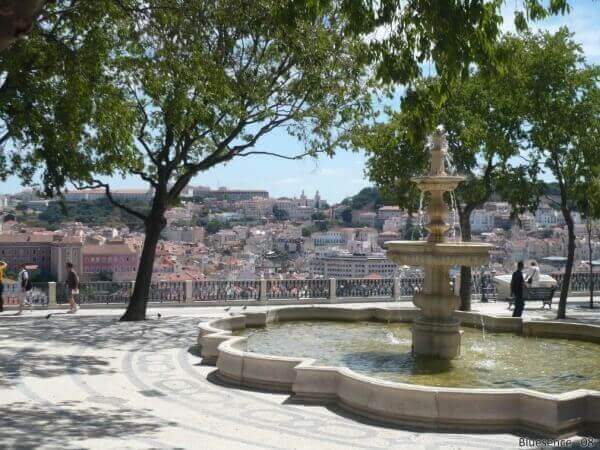 We are going to begin on foot from the center of the Lisbon city, in other words, by the Square of D.Pedro IV (also known as Praça do Rossio), which ever had an important role in the life of the country and of the city. From there, we are going to the Square of Restauradores (Praça dos Restauradores) and climb through the historic Elevator of the Glory (Ascensor da Glória) up to Bairro Alto on the top of the hill where you will be able to taste some of different types of Port wines in the Museum of the Port Wine (optional). 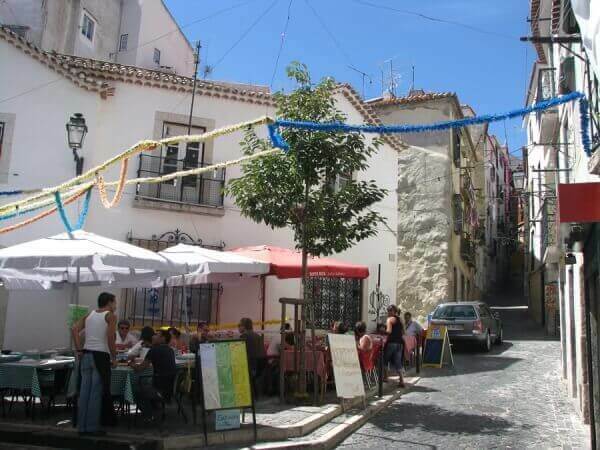 Also there, in the Miradouro de São Pedro de Alcântara (viewpoint) it will be able to observe the whole city and the ancient castle of the Moors in another hill; the district of Alfama (Bairro de Alfama), integrant part of the old city with his typical narrow streets and Castelo de São Jorge (castle). We will then talk about the origins of the settlement, the names and visit a church of the 18th century; Igreja de São Roque (church) who miraculously survived the earthquake in 1755, and that will going to show us the brilliant part of the ancient "Empire" of Portugal. 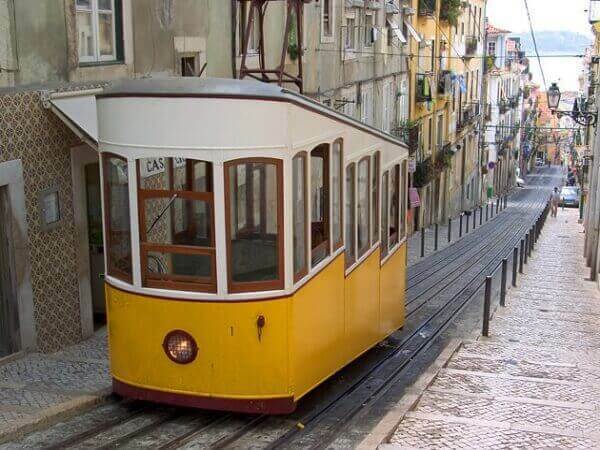 Following those ancient and narrow streets we will reach another uncommonly form of public transportation, the Santa Justa Lift (Elevador de Santa Justa), which goes down from "Chiado" to "Baixa" Pombalina (downtown), privileged commercial area of the city. In Rossio (downtown) you will be able to go to a very small bar and taste a "ginginha" (cherry brandy) or a Port Wine (as optional). 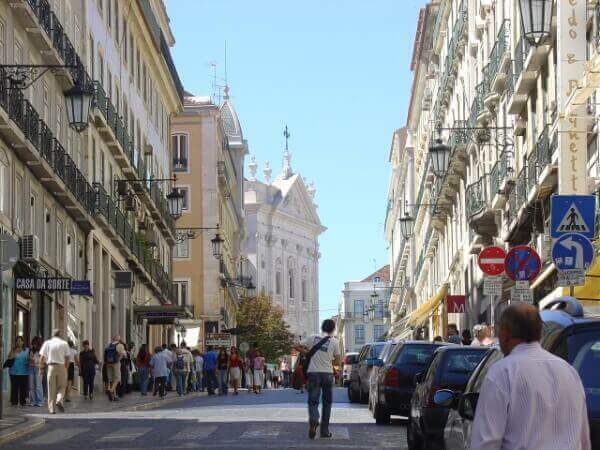 We will cross the pedestrien street Rua Augusta, one of the main streets of commerce, up to the bank of Rio Tejo (river), and following from there, for the district Bairro de Alfama that still maintains many of the characteristics of medieval city. 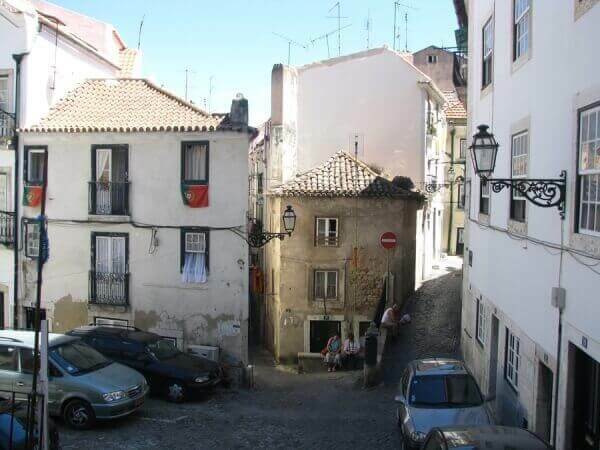 Through these typical streets we will reach the ancient Cathedral, which will remind us of the Reconquest period and Saint Anthony of Padua (Santo António de Pádua). More one walk up the ancient streets of the city towards the moorish fortress Castelo de São Jorge (or even visit the fortress), and then back to the center, in an unforgettable travel in "Elétrico nº28" (tram). After this trip by the city of Lisbon you will be able to feel like as you were a Portuguese native and as you were in your own city. 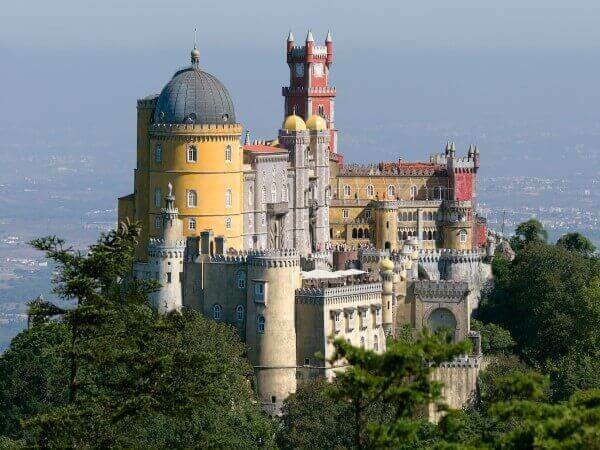 For those who have only one day to discover Portugal, we offer to combine in a single excursion the main attractions of this country, both in Lisbon and Sintra. 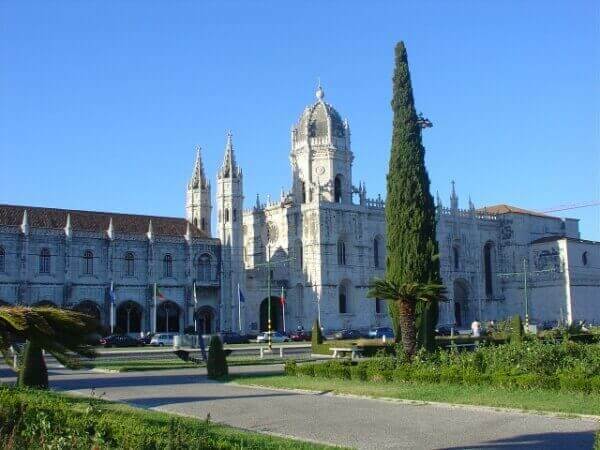 During 8 hours, we will have time to visit the city center, with its main squares, Praça D.Pedro IV (also known as Rossio) and Praça do Comércio, bringing you through "Baixa" (downtown) and then we make a walk up to the old Lisbon Cathedral (Sé Catedral de Lisboa) and then to the Alfama district with its narrow streets which still maintains many of the characteristics of medieval Lisbon. 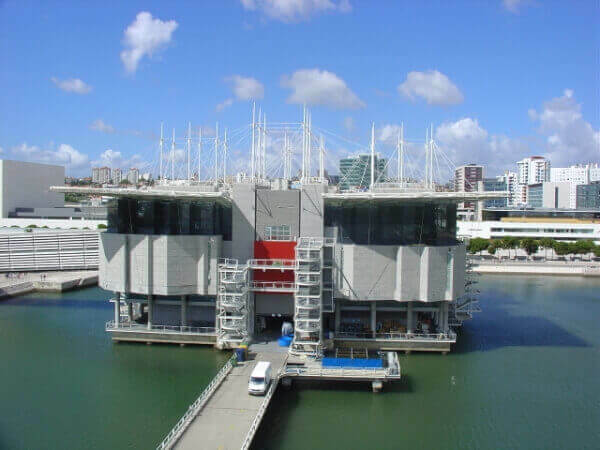 Then we will go for the historical district of Belem where we will visit the Jerónimos Monastery (Mosteiro dos Jerónimos), the Belem Tower (Torre de Belém) and maybe the Carriages Museum (Museu dos Coches) if we will have time. 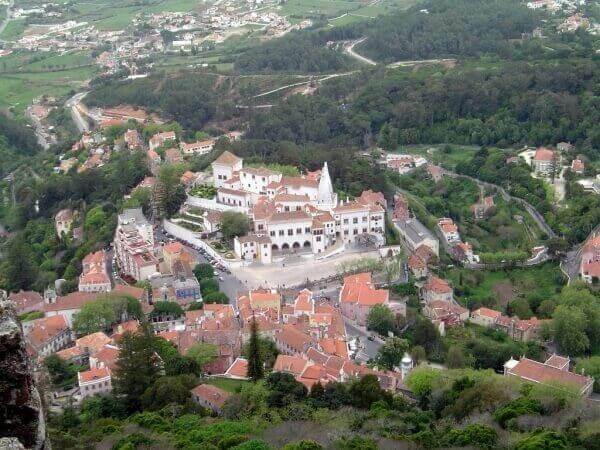 After visiting the city we will follow to the historical and cozy "Village of Sintra" at 30kms from Lisbon. By this time we will be in time for lunch (optional) that can be either with fish dishes, seafood or meat, or then, have a coffee or tea and taste the typical cakes of Sintra, like the famous "queijadas de Sintra" (queijadas de Sintra) or "travesseiros" (pillows) with a inside cream of eggs and almonds. 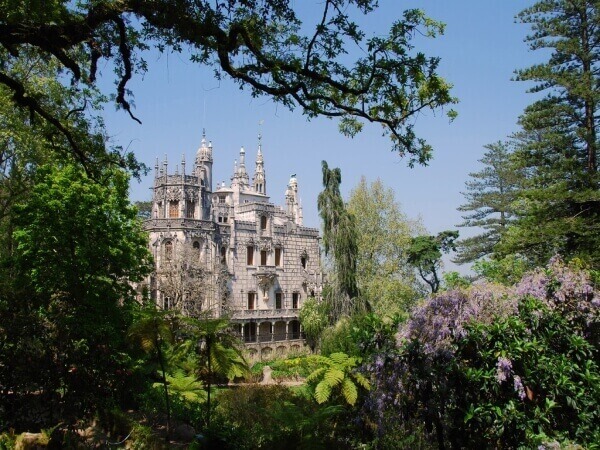 After a short walk through the village center will enter the famous property "Regaleira Estate" (Quinta da Regaleira), which we will talk in detail about legends and masonry and will observe the magnificent gardens. This mansion leaves no one indifferent; with the coldness of their caves, tunnels, symbols and other architectural surprises that we will talk about. 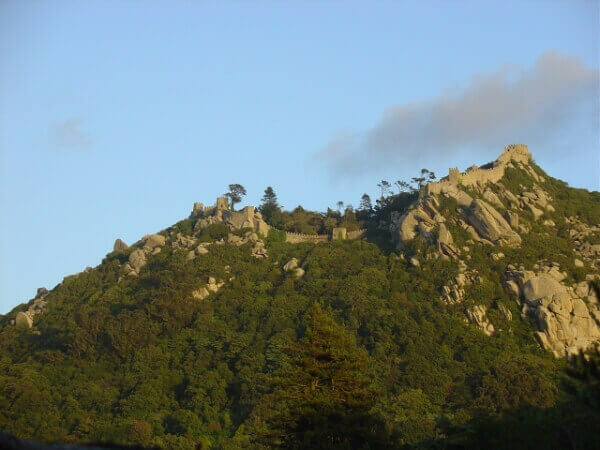 Or alternatively you can visit in Sintra another set of your choice; the Sintra Palace (Palácio Nacional de Sintra), the Pena Palace (Palácio Nacional da Pena) or the Monserrate Palace (Palácio de Monserrate). Then we will follow to the Roca Cape (Cabo da Roca), the most western point of Europe. There, we will be able to breathe the fresh ocean air and think about the great past of this small country of adventurous sailors. 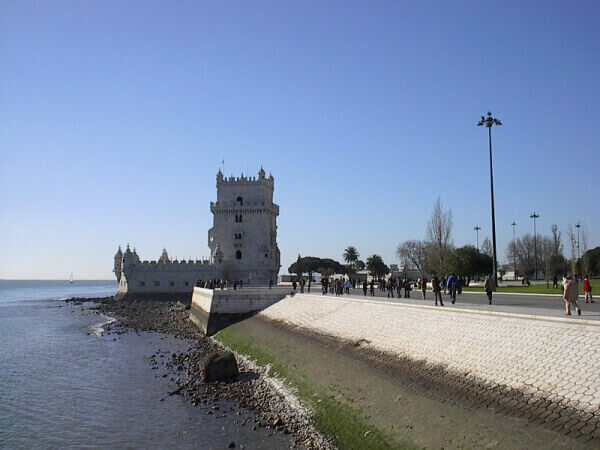 To end, back to Lisbon passing along the coast, by the fishing and summer village of Cascais and by Estoril where you can enjoy the beauty of his beaches.